Whitney Beall, a resident of Lakeland, Florida, made a few not-so-smart decisions last night as she not only chose to drive while intoxicated, but also Periscoped her wild ride and got herself arrested. 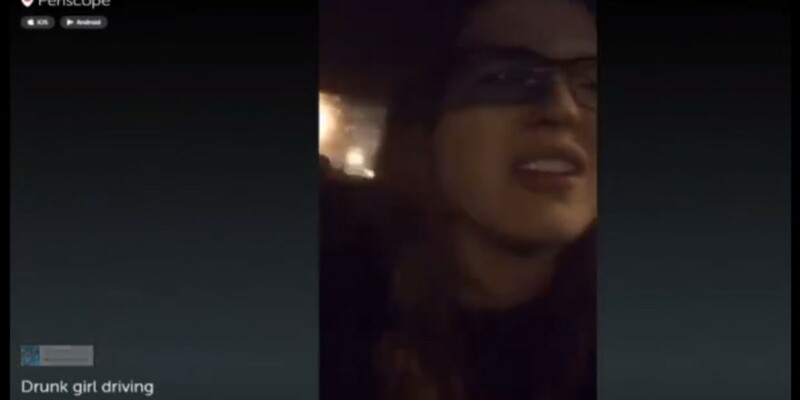 WTSP 10 News reports that a viewer of the 23-year-old’s livestream phoned 911 to report Beall, who repeatedly said that she was drunk as she drove around north Lakeland. She also said that she had a flat tire. The caller shared what details she could make out of the car and its location. Police officers soon identified landmarks from the stream and found her driving her car on Carpenters Way with a flat front tire. When they tried to initiate a traffic stop, Beall hit a curb and didn’t brake after the fact. Beall was tested with a breathalyzer, charged with a DUI and then transported to the Polk County Jail. Lakeland Police spokesman Sgt. Gary Gross said the local police department will train officers on how to use Periscope and similar tech in order to be able to respond to such incidents in the future.